To consume tourism is to consume experiences. An understanding of the ways in which tourists experience the places and people they visit is therefore fundamental to the study of the consumption of tourism. Consequently, it is not surprising that attention has long been paid in the tourism literature to particular perspectives on the tourist experience, including demand factors, tourist motivation, typologies of tourists and issues related to authenticity, commodification, image and perception. However, as tourism has continued to expand in both scale and scope, and as tourists' needs and expectations have become more diverse and complex in response to transformations in the dynamic socio-cultural world of tourism, so too have tourist experiences. Tourist Experience provides a focused analysis into tourist experiences that reflect their ever-increasing diversity and complexity, and their significance and meaning to tourists themselves. Written by leading international scholars, it offers new insights into emergent behaviours, motivations and sought meanings on the part of tourists based on five contemporary themes determined by current research activity in tourism experience: dark tourism experiences, experiencing poor places, sport tourism experiences, writing the tourist experience and researching tourist experiences: methodological approaches. The book critically explores these experiences from multidisciplinary perspectives and includes case studies from a wide range of geographical regions. 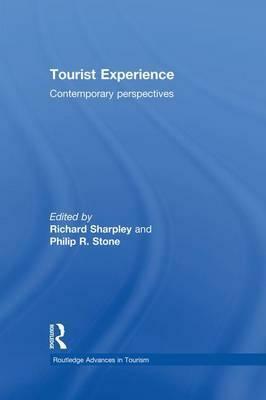 By analyzing these contemporary tourist experiences, the book will provide further understanding of the consumption of tourism. Richard Sharpley is Professor of Tourism and Development at the University of Central Lancashire, Preston, UK. He has previously held positions at a number of other institutions, including the University of Northumbria (Reader in Tourism) and the University of Lincoln, where he was professor of Tourism and Head of Department, Tourism and Recreation Management. His principal research interests are within the fields of tourism and development, island tourism, rural tourism and the sociology of tourism, and his books include Tourism and Development in the Developing World (2008), Tourism, Tourists and Society, 4th Edition (2008) and Tourism, Development and Environment: Beyond Sustainability (2009). Philip Stone is a former Management Consultant within the tourism and hospitality sector, and is presently employed as a Senior Lecturer with the University of Central Lancashire (UCLan), UK. He teaches tourism, hospitality and event management at undergraduate and postgraduate level. Philip is also founder and Editor of The Dark Tourism Forum, the premier online dark tourism subject resource facility and global alliance of scholars and industry practitioners (see www.dark-tourism.org.uk ). His primary research interests revolve around dark tourism consumption and its relationship with contemporary society. He has published in a number of international academic journals, presented at a variety of international conferences and, with Richard Sharpley, is co-editor of The Darker Side of Travel: The Theory and Practice of Dark Tourism (2009).